Read how you can take these challenges head-on and reduce your IT management budget up to 60% and achieve effective management of organisation's endpoints. Organizations know endpoints are targets of attack, but they do not implement adequate security measures. With endpoints comprising a major share of any organization's IT assets, potential for damage is huge. At the same time, unpatched, unhardened systems are easier to target and exploit. While 'cool' new products create a lot of buzz, cyber hygiene is often ignored. But it must be managed daily. If it is, the benefits far outweigh the effort. Do you have these IT management challenges? 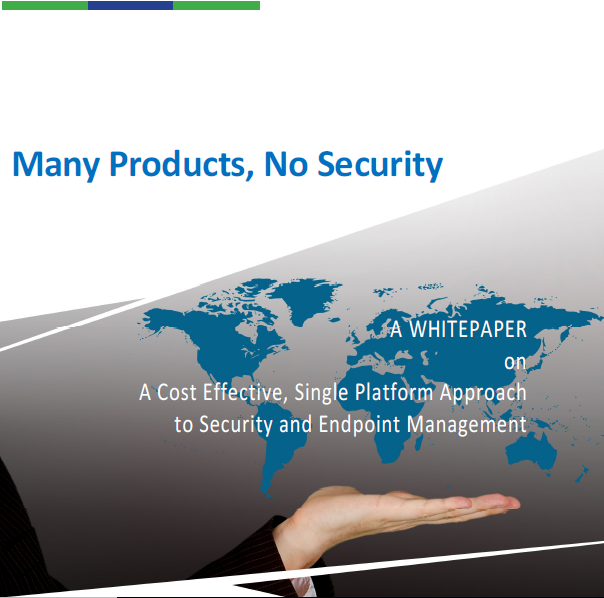 - So many products to manage and secure endpoints? - Escalating IT budgets? Multiple vendors, multiple products contribute to unreasonable upfront and ongoing costs? - So little value with all the investments? "We have many products, but very little security." This is a typical complaint when securing and managing an IT environment. Organizations invest in many products with overbearing features and overlapping functionality. Yet, environments are still difficult to manage. And they are still subject to attacks and exploitation. 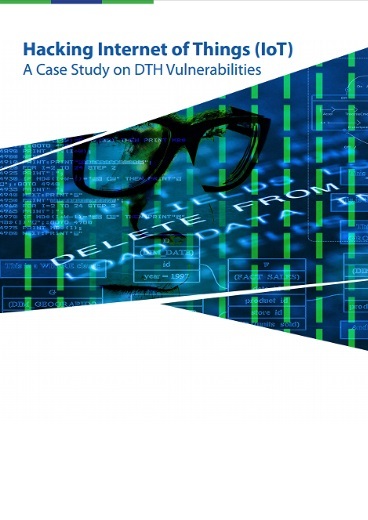 This white paper discusses challenges with managing and securing infrastructures. Using a platform of tools for specific tasks addresses many of the limitations. Every managed security service provider wants a competitive edge. The definitive goal of every MSSP is to deliver the utmost quality of service possible with the most effective and least expensive solution. At SecPod, we meet the expectations of managed security service providers. 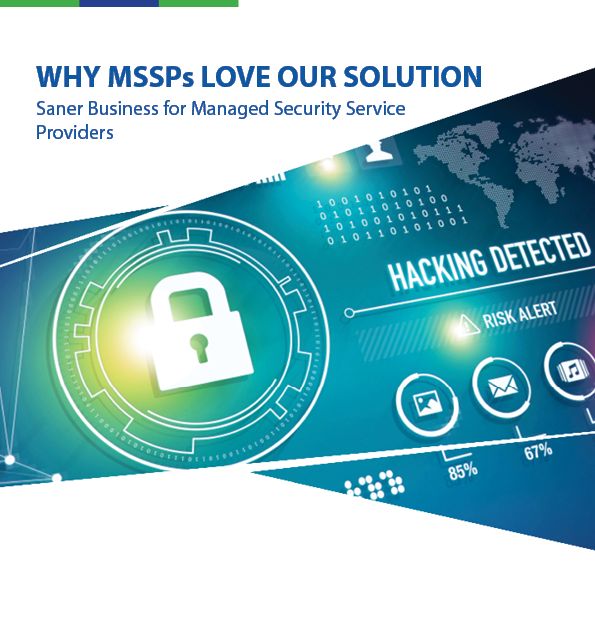 Our Saner Business endpoint security solution helps improve MSSP profitability. Saner reduces costs, increases productivity, and grows recurring service revenue. In this paper, we will share what our managed security service providers like most about our solution. As IoT grows, the attack surface also grows and all the loopholes/vulnerabilities present in the digital world will flow into our real world. Before IoT, attackers used vulnerabilities for data theft or to make money or sometimes just for fun, but with IoT, the attack surface has grown to such extent that attacker can use vulnerabilities or loopholes in the car, smart sniper rifle etc., to kill a person remotely with a few strokes of the keyboard. Attackers are constantly finding the vulnerabilities to break into IoT and use those vulnerabilities for many illegal purposes. In this paper, we will learn, how easy it is to hack IoT devices with few real scary attacks and important IoT security cases, followed by current challenges in IoT devices and general guidelines to improve IoT security with respect to the vendor, developer, and users. At the end, we will demonstrate hacking actual IoT devices by using DTH as an example. With this simple demo, we will understand how to hack interconnected devices and exploit simple vulnerabilities with ease. Ransomware is a form of malware that renders a computer, or personal data stored in it, inaccessible to its owner. A perpetrator uses ransomware to infect a computer and hold the user hostage by making all data inaccessible to its legitimate owner by encrypting the data. Ransomware can enter a system in multiple ways. These include exploitation of vulnerabilities, misconfigurations, and social engineering. 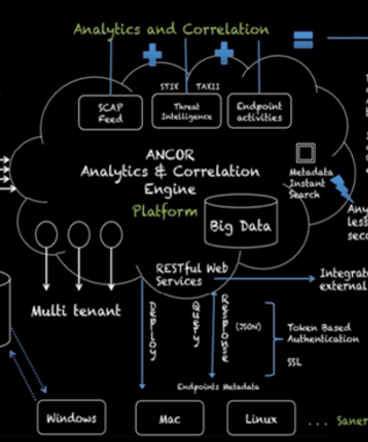 Saner uses a multipronged approach to detect and respond to ransomware attacks. Saner is an endpoint security platform that provides continuous visibility and control over endpoints. Saner stresses prevention and achieves a reduction in security incidents by ensuring all endpoint systems are constantly kept up to date with the latest patches. This ensures malware cannot exploit known vulnerabilities. Saner also detects threats and includes a variety of remediation measures to instantaneously contain or block an attack. Threat Intelligence Feeds automatically detect Indicators of Compromise in seconds. A new approach to endpoint security is indispensable. An approach that identifies risks in seconds (vulnerabilities and misconfigurations) and remediates within minutes, keeps track of all the security controls and fixes deviations immediately. An approach that provides visibility and control over endpoint activities, identifies Indicators of Compromise (IoC) through automated means and take responsive actions in seconds.